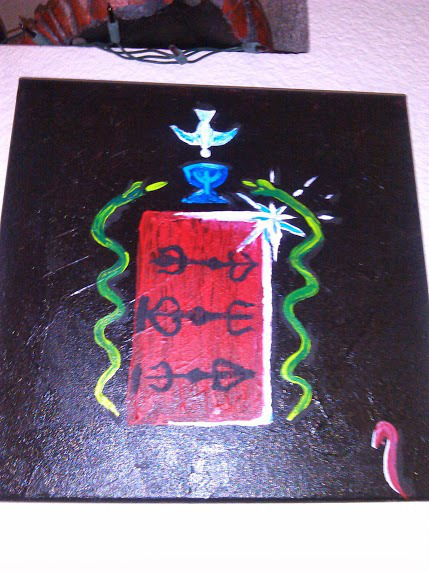 This is a painting I did based on my having rationalized so many occult systems. I have not only wrapped my mind around the original metaphorical and allegorical meaning of the people that created the systems. I look from their perspective. They were all saying the same thing in different ways and when they appear to disagree with one another it is because of Shenanigans on the part of people in relationship with their authority. 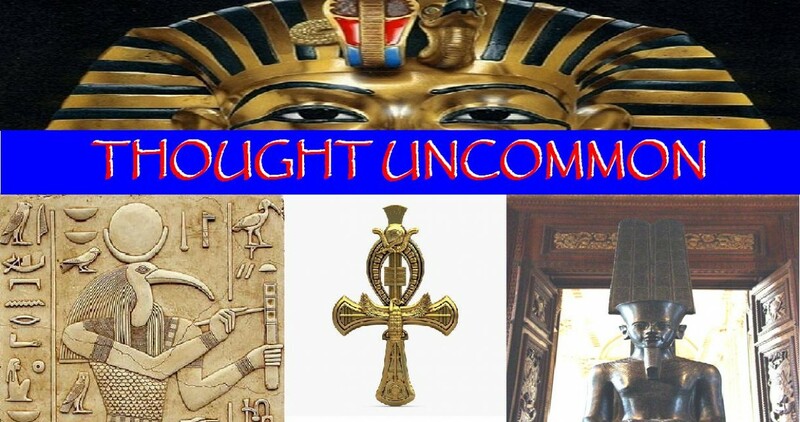 They conceal the origins of their religion, and the connections of their religion to other religions. They transliterate their prophets to conceal vital interpretations, rescuing their prophets from themselves when what they said and did are contrary to the current taboos of society. What this does is attenuate the light and obfuscate the truth, it makes the message impotent. The red door in this painting is symbolic of kundalini and is also an escape from this plane into higher spiritual planes in th form of tantra. The two serpents represent the Ida and the Pingala of kundalini, the male and female serpents that wrap around the sushumna, or the spine, the same two serpents that were eaten up by the staff of moses. Also on the staff of merlin there were two warring dragons, fighting over the pearl of immortality, in that symbol the wings are on the dragons instead of being on the pearl such as in the aten of Egypt. Also the founding books of Modern Voodoo are the 6th and 7th books of moses. If you read the account of moses correctly you realize that he is using voodoo curses to bring to its knees a power greater than himself with more resources than he has. Voodoo has always been the weapon of revolution when one was fighting a superior foe with next to no resources. The light coming threw the door takes on the shape of the morning star, the herald of the light, the first celestial body that appears to signal the coming of dawn and the rising of the sun. When Jesus referred to himself as the morning star was he not referring to himself as the devil? the light bearer? the Ferrier of light? Lucky fire? Lucifer? I painted this a while back after I started using my psycholinguistic model to deconstruct the narrative that we get through media and then using my psychological model to see how people and groups of people would interpret it on an unconscious level. I used the concepts of emotional data, and experiential data, and survival data, it is based on hermeneutics. Long story short, I predicted a coming suicide epidemic that would disparately impact men and young men. Guess what? I was right. Angel tide was all of the souls from the dead youngsters, that is what it means. This piece is surreal and abstract, it has a lot of emotional impact. It is beautiful, peaceful, and at the same time full of action and a hint of sadness, contemplation even.